Bryce Clayton Newell is an Assistant Professor in the School of Information Science at the University of Kentucky. In his research, he focuses on understanding the impact that surveillance and information and communication technologies (ICTs) have on individuals, society, and the law. Tjerk Timan is a policy advisor and researcher at TNO, the Netherlands. He has been publishing on topics of policing technologies, surveillance theory and practices, and privacy. 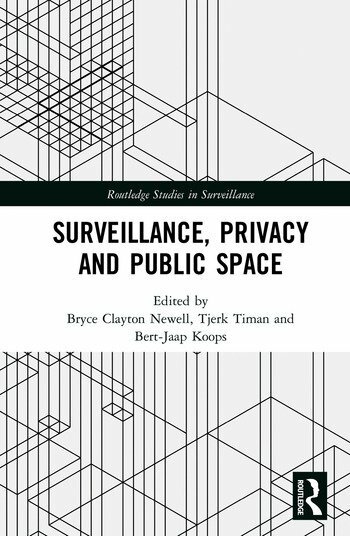 Recently, he has co-edited a book on privacy in public space. Bert-Jaap Koops is Professor of Regulation & Technology at TILT, Tilburg University. In 2016/17 he was Distinguished Lorentz Fellow at the Netherlands Institute for Advances Study (NIAS). He publishes widely on cybercrime, cyber-investigation, privacy, and data protection, including recently ‘A Typology of Privacy’ and ‘Bentham, Deleuze and Beyond’.